Rewind the cold beer time machine just five years and you’ll discover only a handful of iconic beer events that have withstood the test of time. Even still, these OGs of craft beer events probably look a little different than they did back when they first started gaining popularity, because as tastes evolve, so do the greats. Oh, variety packs. What Hazy IPAs are to trending beer styles, the variety pack is to new packaging formats. And why not? You lower buyer’s remorse by offering more options and expose consumers to a wider array of your beer. 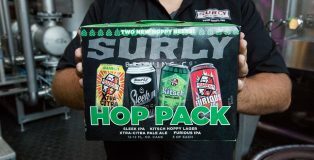 Minnesota’s Surly Brewing has experimented with offering new beers available only in variety packs before (ala 60 Below Rye IPA), and its newest Hop Pack offering aims to build on this by offering two new beers in a hop-focused format. Rosé (lager) all-day? For some beer-drinkers, this dream is quickly becoming a reality. To stand out in 2018, brewers are throwing anything and everything (fried chicken?) into their beer to win over the increasingly saturated taste buds of beer lovers. That said, some breweries are moving in a different direction. 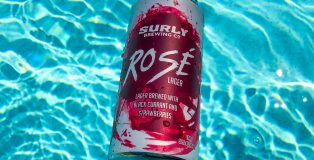 Beloved Minnesota brewer Surly Brewing and national powerhouse Allagash Brewing have decided to target a new sub-section of drinkers: wine and spirit fanatics. It’s a large group that continues to eat up market share thanks to the popularity of beverages like spiked seltzers and Rosé drinks. Rosé in particular continues to increase its influence across the alcohol market, posting a 40% increase of sales in 2017. Oh, summer. As a native Minnesotan and current Chicagoan, I have a mixed relationship with the best season of the year. I’m used to rationalizing the cold, the rain, the snow, more cold…and even hail, endured during roughly nine months of the year, knowing that the sweet embrace of 70 degrees and sunny skies is right around the corner. Unfortunately, summer in the Midwest can be as fleeting as the last drip of Lager in your glass, which is why Midwesterners go so crazy for the nice days: because there are so few of them. One of my favorite summer activities is patio drinking. 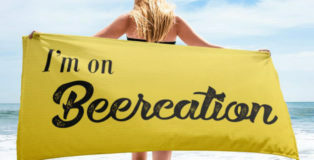 It’s a staple pastime that tans the skin and bloats the belly as you sit outside sopping up suds and some much-needed Vitamin D. Much like its inhabitants, the breweries of the Midwest also rejoice when the first summer forecast comes into the picture. Patio season can even start before Memorial Day – I’ve seen Chicago breweries unveil their patio chairs on an unseasonably sunny day in March. And guess what? That patio was filled. 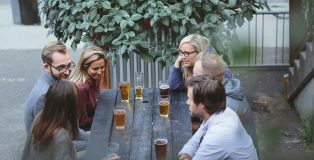 We asked several Midwestern brewers why patio season is so special for their brewery and for their patrons. 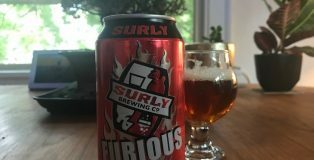 Surly Brewing started in a small retail park in Brooklyn Center, MN. After experiencing sustained growth in sales, the brewery expanded to its massive Prospect Park location that now houses a beer hall and shoulders the brunt of its growing, multi-state distribution responsibilities. And while they do offer some unique one-off beers served exclusively at the beer hall, the older Brooklyn Center location gives them even more space to experiment. The culmination of this brewing flexibility is its new BC Small Batch series. Craft beer seems to go through phases. Right now, you can’t find a new brewery that isn’t making something exceedingly bitter, hazy or barrel-aged. In some ways, consumers’ preferences for different craft beer styles mirror their often-fleeting style, dietary and exercise obsessions. Every year there seems to be a new trend popping up that captures the minds of the economically important 25-34 age demographic. One dietary preference that has weathered the storm of fleeting fads has been the rise of gluten-free and gluten-reduced diets due to its digestive health benefits. 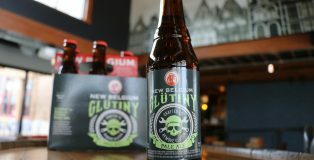 Now, several prominent craft brewers are joining the fray by introducing gluten-reduced beers. Are these new options a simple novelty or a beer style that is set to explode? We asked two brewers leading the charge. 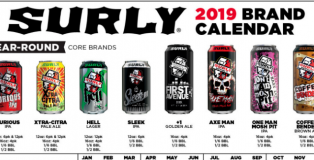 Coming off a strong 2017, Minnesota’s Surly Brewing is betting on its growing momentum with the release of an ambitious 2018 release calendar. 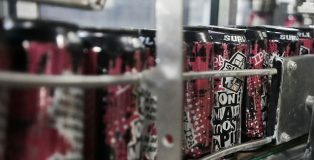 Along with two new year-round offerings, Hopshifter IPA and +1 Golden Ale, Surly also intends to appeal to the curiosity of the average craft beer drinker with their new Innovation Series, which will feature the likes of Damien and Furious Black in tall boys, and the announcement of their first-ever Variety Pack. 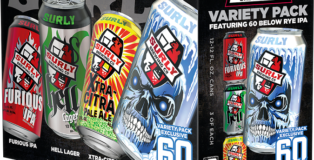 The Variety Pack has become a popular format for other large Midwest brewers like Revolution and Summit, so it makes sense that Surly would dip their toes into this popular packaging venue. Here are the details. 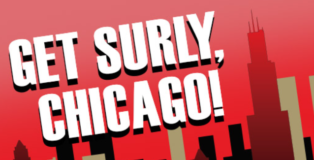 While Surly Brewing resides in Minneapolis, Minnesota, its second home lies within the Windy City. 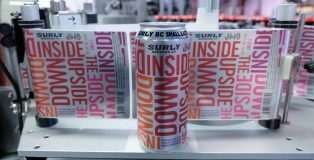 In a move to meet growing demand in the Chicagoland area, Surly is shifting its distribution relationship from Windy City Distributing to Lakeshore Beverage, which also distributes the likes of Bell’s, Founders and AB-InBev’s High End group to the Chicago region. While the shift in local distributors might not seem like much on its face, it’s actually an intriguing signal of Surly’s larger Midwest strategy and emphasis on gaining market share in Chicago. 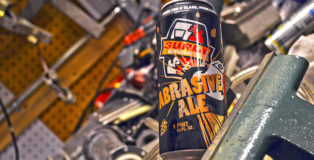 As the hunt continues for the haziest and fruitiest New England IPA, it was nice to crack open Surly Brewing’s 2017 batch of Abrasive. A double IPA that says no to haze and fruit, but instead hits you with hops and malt. You know, the way an IPA used to be. In 2007, Surly Brewing Co. created the first variant of Darkness, its bold Russian Imperial Stout. Momentum for the beer was slow at first, but after arriving to work one Saturday morning in October to a line of fervent Surly fans wondering when Darkness was ready, Surly’s Founder Omar Ansari knew they had a hit. 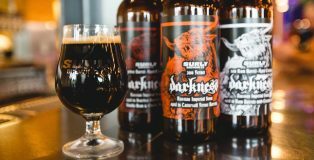 Now, Surly celebrates the annual release with the aptly named Darkness Day, happening October 21st. this year. 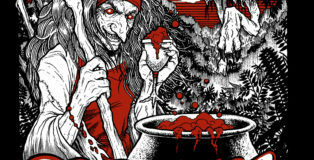 Even better, this year, Surly’s wave of ghastly Darkness stouts and Black Ales are spreading farther into their distribution footprint, particularly in the Midwest. Here are the release details you need to know. 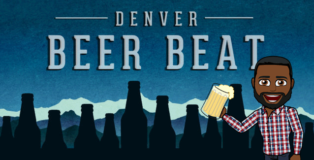 I hear that there is some kind of beer festival in Denver this week, but I don’t want to discuss those things. OK, I do want to discuss those things, but I won’t because I’m jealous and spiteful. Somebody had to stay home and mind the store, so it may as well be me. Due to the grudge I’m choosing to hold, there will be no further mention of that festival. 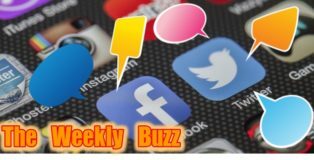 For everyone else who is stuck at home, here is The Weekly Buzz.